Here is the best free iPhone apps for you for 2012. With today’s global economy on the brink of total collapse and impacts continuously being felt by different consumers and markets, offering something free can definitely get you noticed. A lot of free stuffs now flood the markets. Both offline and online, From coupon codes to promotional items and everywhere in between, nothing beats something free in the eyes of clients and prospecting shoppers. Another great thing that’s free this 2012 are iPhone apps. Since its debut, Apple’s iPhone has quickly amassed a loyal consumer base and chart topping sales rates. With immense popularity and recognition, iPhone enthusiasts definitely deserve something free from this high-end gadget. Fortunately, Apple has realized this particular demand and need for incentive. Nowadays, free iPhone apps are widely ranging in limitless amounts, from simple apps that make recording of phone numbers easier and simpler to more sophisticated and dynamic apps like Google Earth. This particular application takes your weather experiences to a whole new level with full-screen layouts, wider forecasts, rough weather notifications and warnings and further on. This iPhone app is a social travel guide and serves as the portable passport on your iPhone. It is unique, fun and a social means of keeping up with your family and friends by storing their phone number as well as document your memories, share pictures and highlights and explore the city around you. In addition, Gowalla is accessible almost everywhere you go so you’ll stay connected with all your adventures. This free iPhone app even tracks the countries, cities and states you tour. Whether you’re searching from your sofa or the local cafe, anything and everything about what’s hot on the movie theaters is placed right in your palms. Fandago Movie is perfect for movie buffs and what’s best about it is they are completely free. Be connected on-the-go, whether it is for business or leisure related purposes, with the free WiFi Finder for your iPhone. Instantaneously locate a secure WiFi connection wherever you are all within a few touches of your mobile device. Around Me iPhone app can quickly determine the exact locations and even the customer service number of where you are and the establishments you are looking for, from bars, hospitals, hotels, movies, theaters, restaurants, taxi terminals and gas stations. This can definitely be handy for travelers to get around a new environment quickly and conveniently. 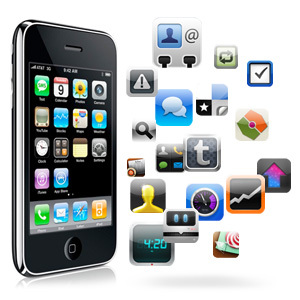 If you know more free iphone apps then share with us via comments below.